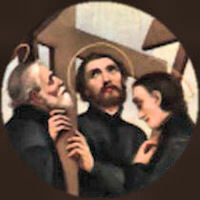 Paul Miki, a Japanese Jesuit, and his twenty-five companions were martyred in Nagasaki, Japan. They were the first martyrs of East Asia to be canonized. They were killed simultaneously by being raised on crosses and then stabbed with spears. Their executioners were astounded upon seeing their joy at being associated to the Passion of Christ. According to the 1962 Missal of St. John XXIII the Extraordinary Form of the Roman Rite, today is the feast of St. Titus, whose feast in the Ordinary Form is combined with St. Timothy on January 26. It is also the feast of St. Dorothy, virgin and martyr, in the Extraordinary Form.